Just back from this site and we loved it. The location was great, within easy reach of lots of attractions and places to eat. As others have mentioned, the pitches are definitely sloping, but ours wasn't too bad. The facilities were very clean, the family shower-rooms are fantastic and so helpful with small children. There isn't a play area for children so most of the children seemed to play in an area of trees and rocks and play around the tents. The only reason this isn't a 10/10 for me is that our pitch was quite a walk from the toilet blocks, I'd have preferred to be closer with a little one. The walk back up the hill was a bit much for little legs. We didn't ask to move as the tent was already up before we realised how far it was. I cannot fault this site. On our arrival we were given a friendly welcome and a bin bag for our rubbish. We had an electric hook up and a fabulous view over the sea, albeit between trees. The sunsets are spectacular and we have many photographs to prove it. 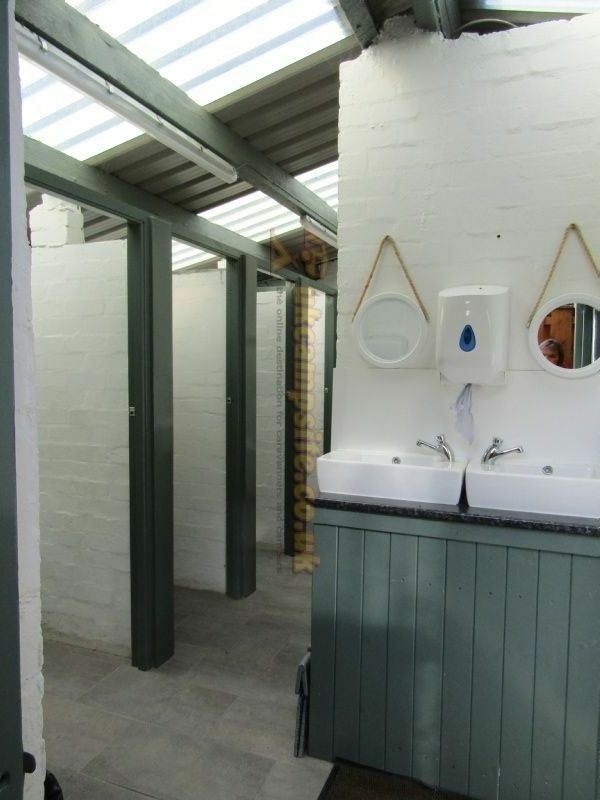 The toilets and showers are well kept and spotless, and there are even two accessible/family showers with toilets. I took a sneaky peek in one of them and that, too, was immaculate. 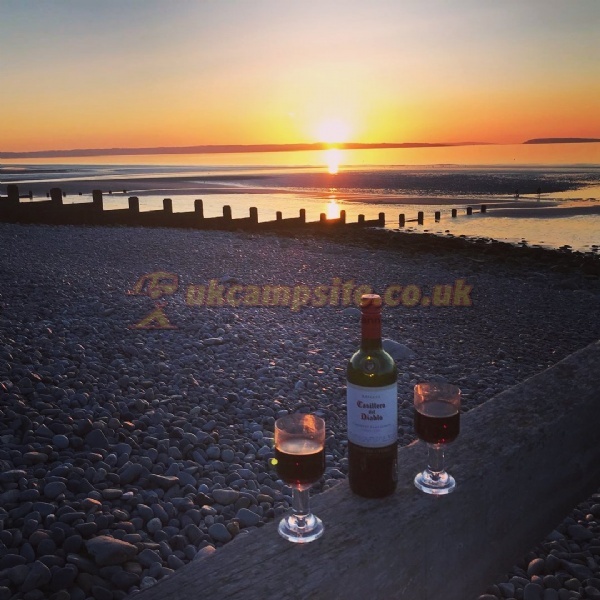 The facilities are excellent and include a ‘home from home’ area with three sinks and draining boards for washing up, as well as a washing machine and tumble drier but, for me, the inclusion of several fridges and freezers was invaluable. The managers of the site even supply labels and markers for guests to label their food, though the labels were in quite high demand and we had taken our own labels with us anyway. There are also lockers for charging mobile phones. We were fortunate enough to be able to charge our phones in our tent but the facility was welcomed by other guests during our stay. There is also a coffee machine available and it dispenses really good filter coffee. 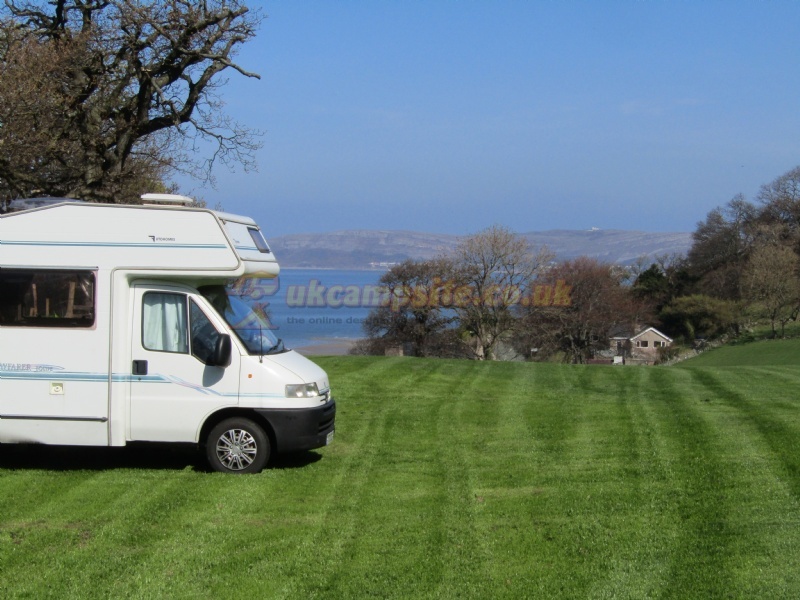 Pitches on the site are sloping so being aware of that enabled us to be prepared. It’s a small price to pay for the breathtaking scenery that surrounds the camp in all directions. Several rules are in place to keep noise to a minimum and, as a result, the site can be enjoyed by all. Dogs are welcomed if they are kept on a lead. Just one word of warning. A greedy squirrel managed to gain access to our neighbours’ tent and, after some scuffling, emerged with a biscuit! It’s best to make sure your food is sealed. A fantastic holiday and it’s likely we’ll be returning. 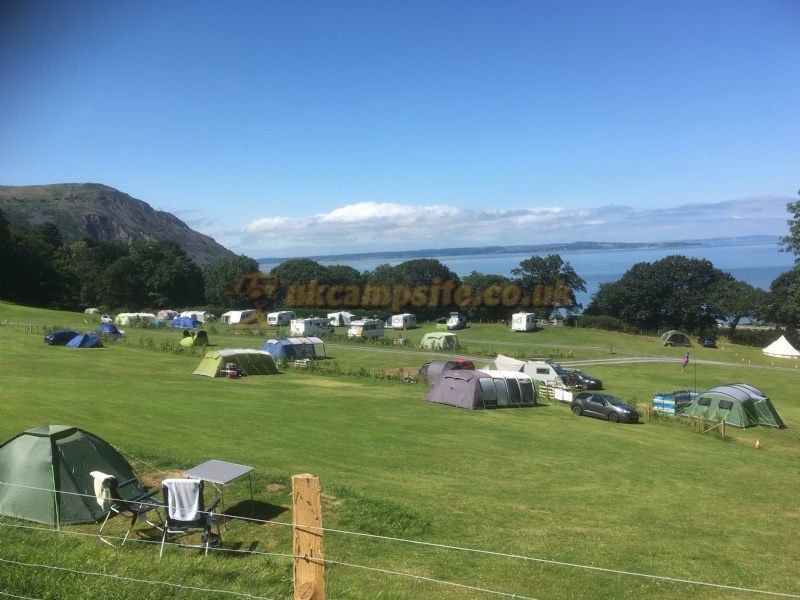 Confirming what others have said - a lovely clean campsite with plenty of room, great views and friendly, helpful staff. Wash block as others have mentioned is small, but was very clean and I never waited for a shower even though the site was busy. 20 mins walk to the beach and plenty of other things to do around and about. Would happily return to this site. 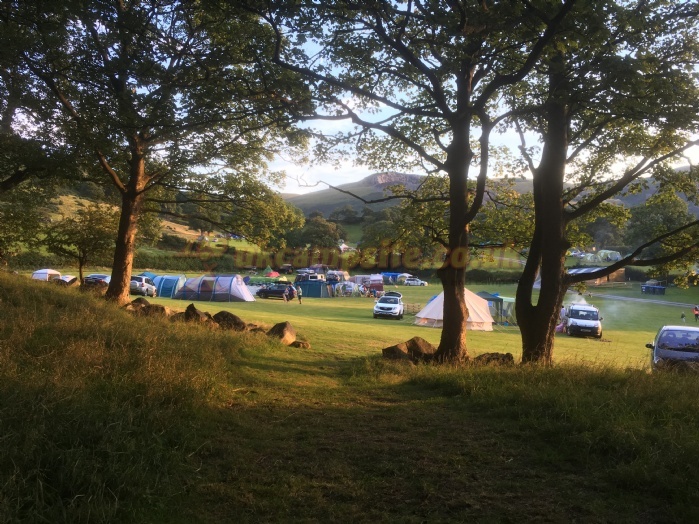 Arrived Saturday 19th May met by cheerful lady owner who gave us directions to our pitch, list of site rules and a bin bag politely asked us to keep our rubbish in on entering the site you could see why it is immaculate. If you are after a perfectly flat and level site don’t come here. 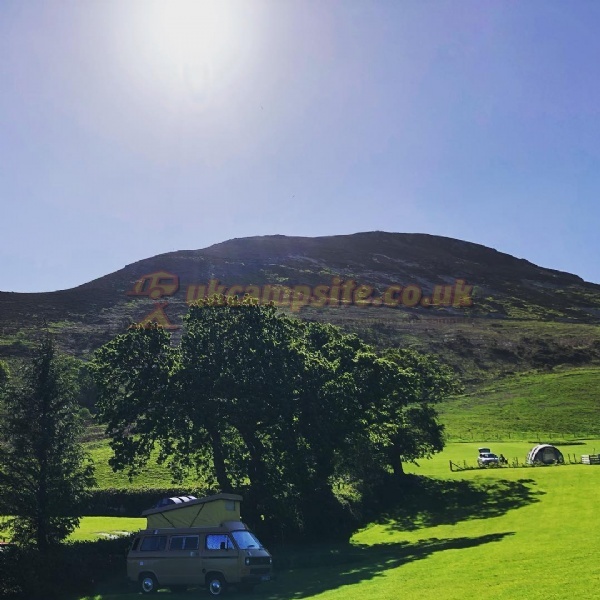 All the pitches are sloped but this adds to this fantastic site the views are stunning if this was a flat site the views would be gone. 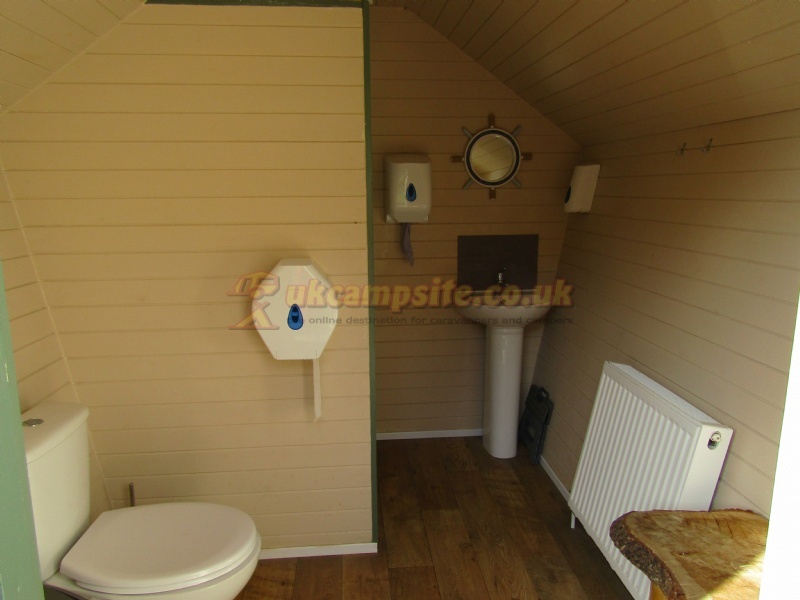 Toilet blocks are small but very clean. 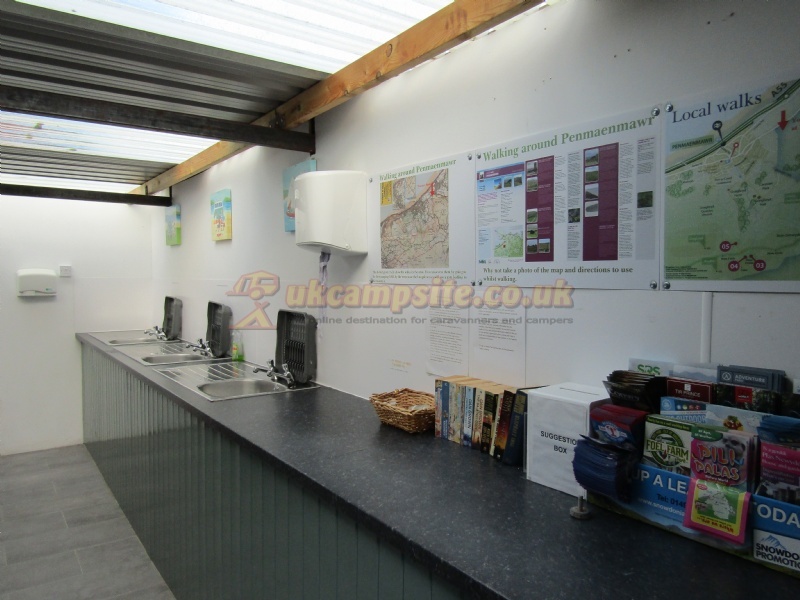 Dish washing facilities area don’t just provide sinks, it provides washing machine, drier, 3 fridge freezers, microwave, coffee machine and charging lockers for gadgets. The WIFI coverage is great. Site rules No Music fantastic no listening to Pete Tong, Basement Jax, and other genres from other pitches just birds singing and kids playing and laughing. No noise after 11pm it is like someone turning a switch off. Lots of places to eat and drink close by. 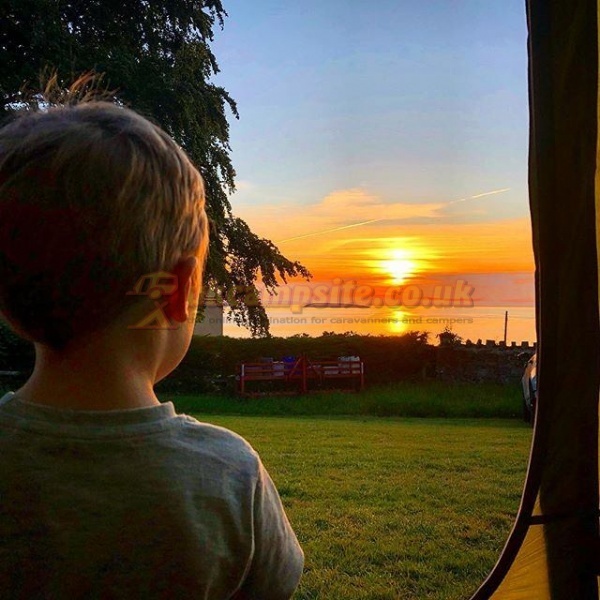 This site has everything you need for a camping trip as far as I am concerned the best site I have ever been to. Will be returning. 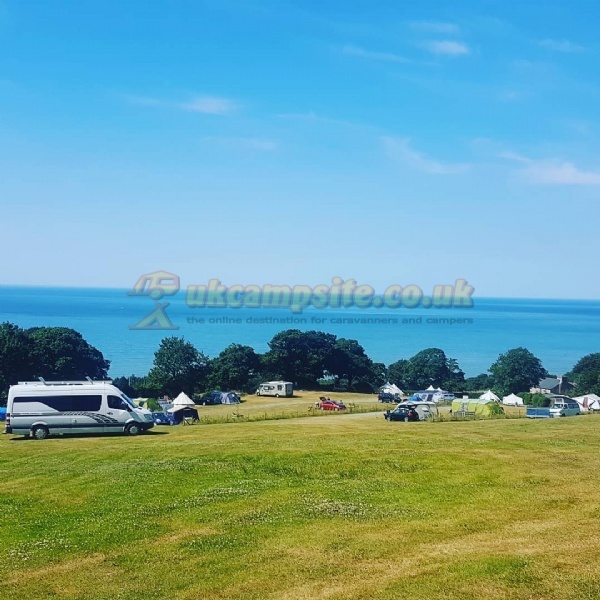 A super campsite. Beautiful views. Very friendly staff. Wash area is small given the size of the campsite but is cleanly kept and wasn't really a problem as there were not that many people there since we stayed just after the bank holiday. 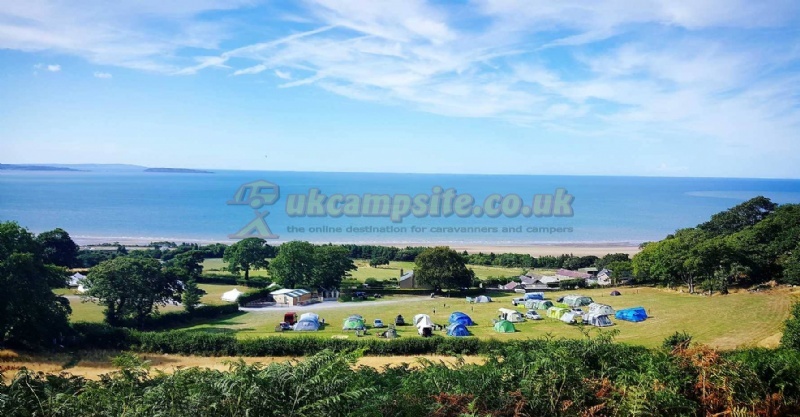 Fantastic location in North Wales - a springboard to many beautiful places. And the campsite is just next to some lovely hill walking. Wow we enjoyed this campsite. 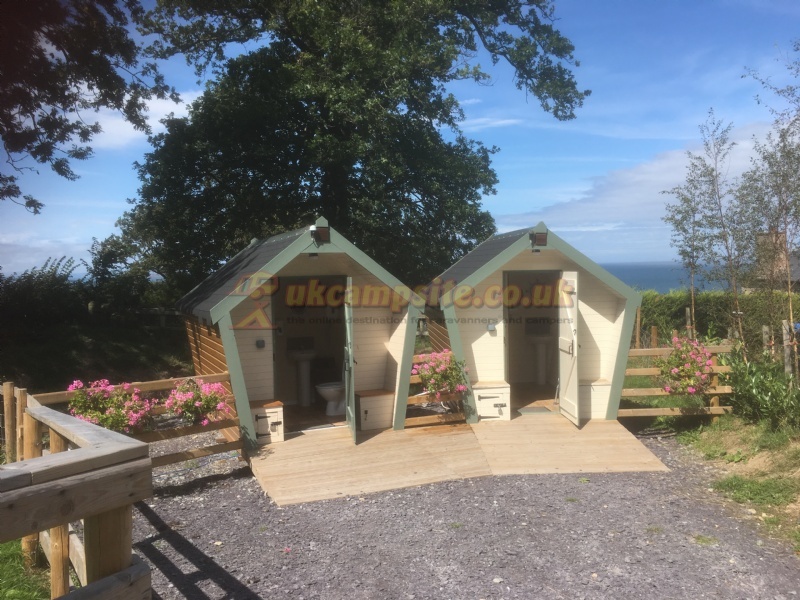 The facilities are great, really lovely toilet and shower block, and added extras in a the adjoining kitchen were great (free fridge freezer, phone charger lockers, coffee machine, washing machines etc all for reasonable charges). The office has a few key items for sale to get you through breakfast, and we were provided with free bin bags. The site slopes a little but not enough to cause us any problems. Lots of room and people were phenomenally friendly, owners and fellow campers alike. 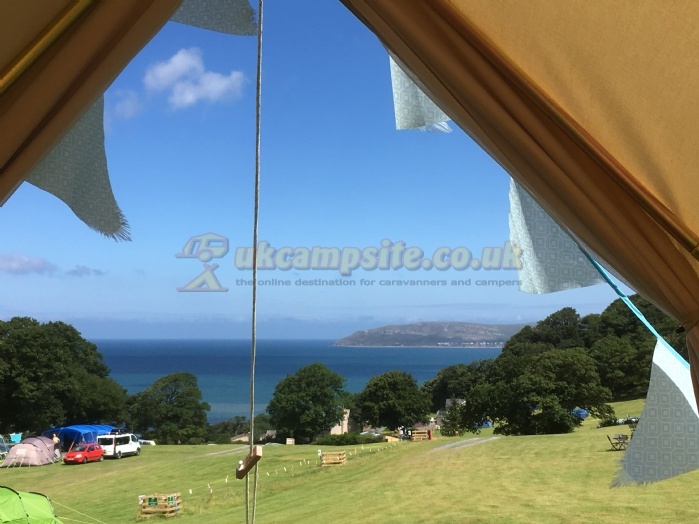 We managed to show up on a very blustery night without any tent pegs (communication breakdown, you know) and the staff worked tirelessly to find us alternatives, even offering a tent loan. Finally a fellow camper gave us dozens of pegs and stayed to help us make the tent secure. I reckon the mountain air made us all happier! The view is over the sea, or up the mountain and we were visited by sheep, bats and beautiful birds during our 2 night stay. There are no child-specific facilities, hence why I only gave 8 out of 10 for child friendliness, but to be honest, our son didn't need any entertaining - he climbed on rocks, looked out to sea, watched the bats at dusk and had a fine old time! The nearby village on Penmaenmawr is delightful, and following a stressful arrival (tent-peg-gate) we were revived by dinner in the stunning Ti Amo Italian restaurant. There was a Spar shop, lots of little cute shops and loads of takeaways if you preferred the easy option. 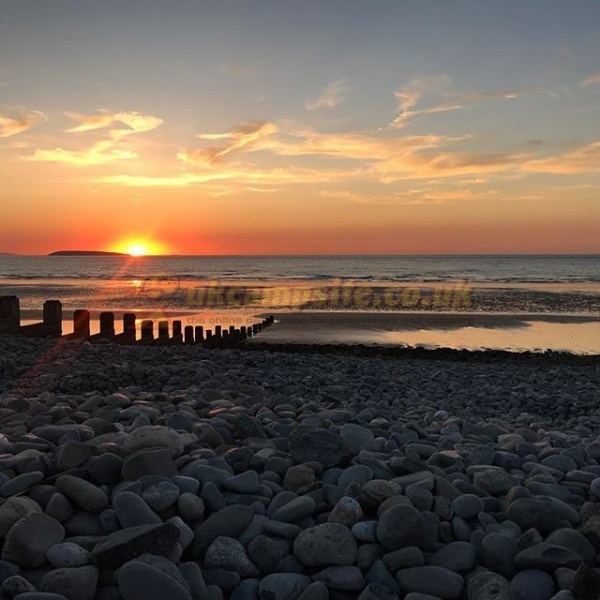 Just 10-20 mins away and you're in Llandudno or Conwy for a gorgeous day of shopping/culture/beach, and you're totally surrounded by beautiful countryside if that is more your thing. Really I only wish we could have stayed longer. Many thanks indeed! Just had two nights here and what a little gem. We had electric so took pitch 20 which is at the bottom along hedge far side of the 2nd field. Lots of room and great clean site. 3 ladies showers and 6 loos which were kept spotless. Fridge and freezer to use are a bonus. Great mountain view one side and sea views in the other. 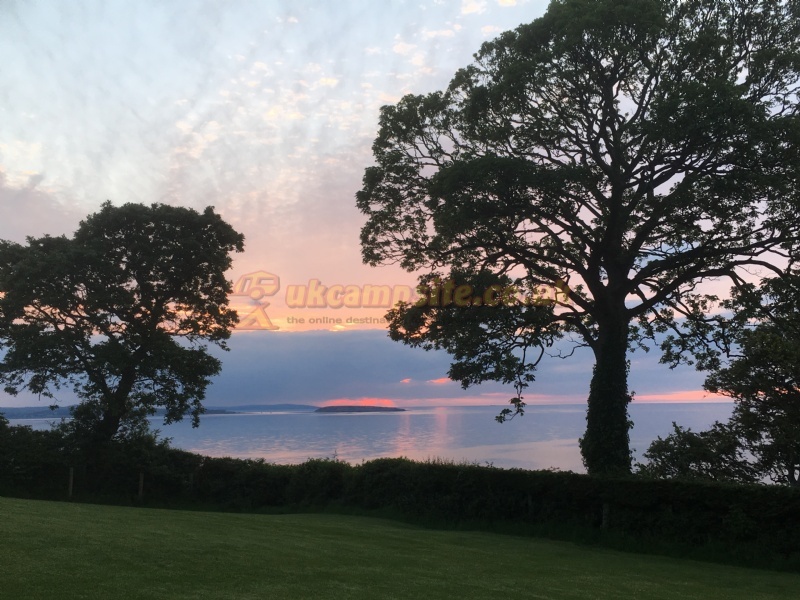 Great view of the sunset out to sea which is a fab backdrop to an evening BBQ. At £20 a night with electric it's a bargain too! 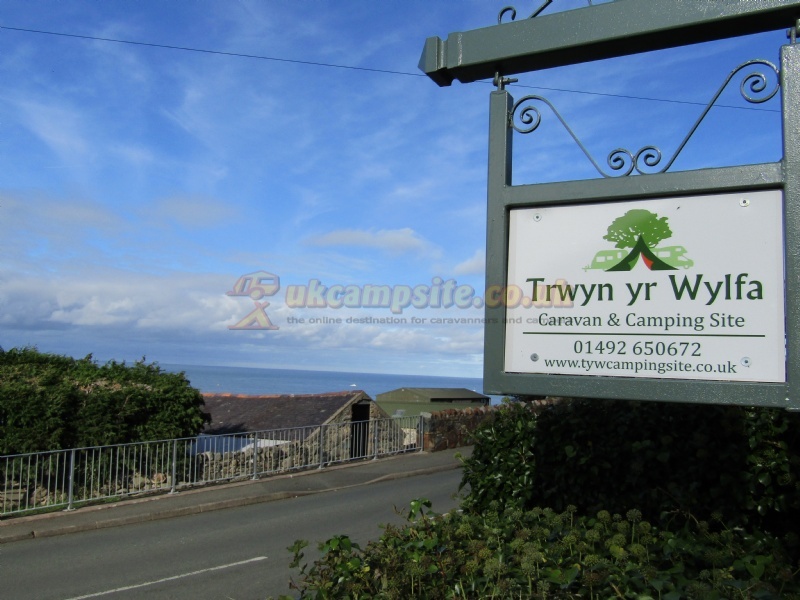 Hi, Stayed on this lovely campsite 19th june when we had hot hot weather. 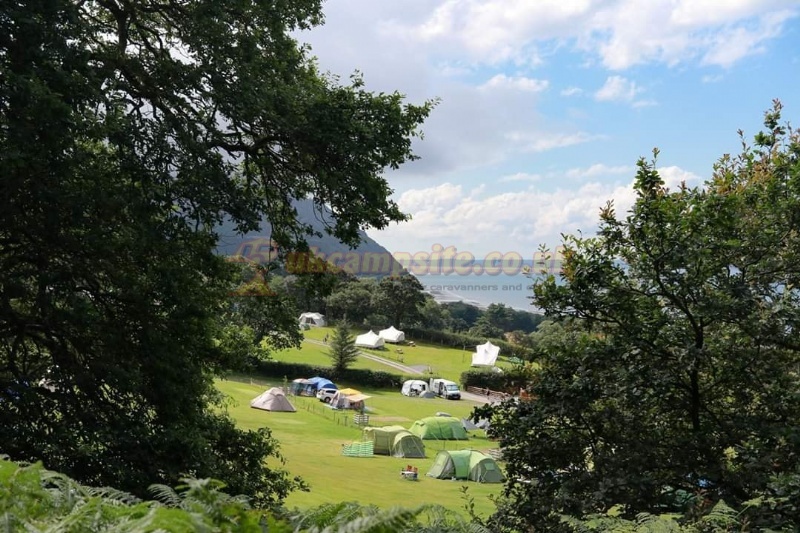 The campsite is easy to find and is basically 2 fields tents only which, is great. Both fields have some electric hook ups, the second field is slightly higher but the views are WOW, great view to puffin island. Both fields have level and slightly sloping good sized pitches. The facilities are new and nice the ladies has 3 showers and 5 toilets and 2 sinks. The showers are push button and are a fixed temperature which, would have been great but, it was very hot so a cool shower would have been nice. That's just me being picky lol but, we do not normally get such hot weather do we ? There is a chemical waste point and a great indoor pot washing station with 3 sinks. The room which houses the pot washing also has a tea/ coffee vending machine nice touch, fridges and freezers and a washing machine and dryer all great. There are plug sockets for charging devices and drying hair etc. We never queued as there were only 3 tent on the site when we were there, so bonus for us. Must say do take insect spray as the midges where in force when we were there I was ok they do not like me, but they love my husband and when we were packing up the tent he forgot to apply spray and was eaten alive. 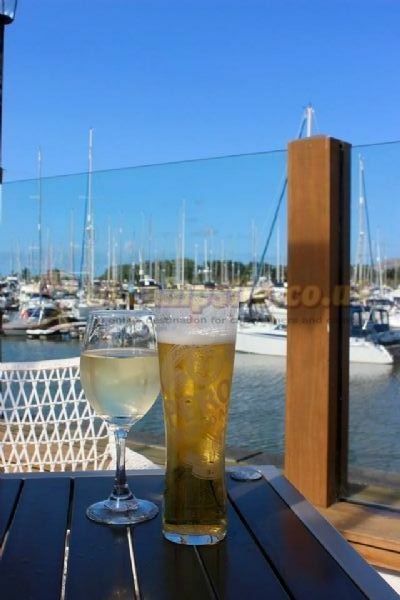 The area is nice pub 15 mins walk away called the Gladstone which has a lovely sea view and allows dogs in the bar area, we had a very nice meal in there. There is also another nice inn called the Fairly Glenn a little further 20 mins walk away, they too do meals but we never ate there dogs only allowed outside. Llandudno is very nice we took our dog up on the tram to the Great Orme nice views and walking. You can walk to the beach which was lovely but, this is 20/25 mins you can drive down and park for free on the front which we did and less messing carrying chairs. There is a cafe on the beach front we did not try but many people did. Stayed here with 2 teenagers and a dog and they loved it. 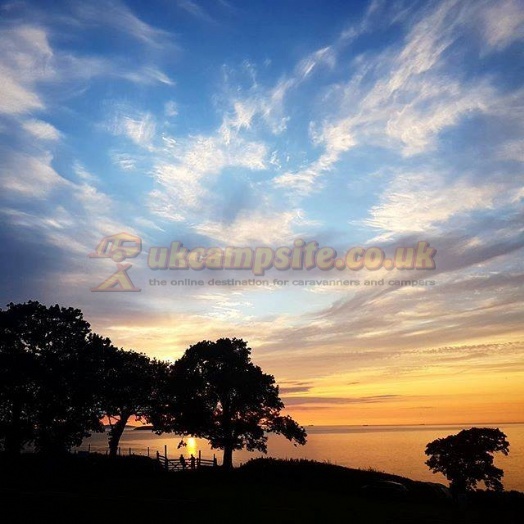 What an amazing site with beautiful sea views and even more amazing sunsets. Very friendly and helpful owners that showed us straight to our pitch. Not sure if just lucky but site was quiet at night and no loud music being played. Toilets and showers were really clean but could get really busy and a little short on space at busy times but not a major problem. Washing up area is inside and there is a microwave, fridge freezer, hair dryer, washer and dryer plus other items and a drinks vending machine which I can highly recommend the hot chocolate. Site is slightly sloping but good on size and space between each pitch and as mentioned previously don't forget the insect spray as all but one of us were eaten alive but we did have some warm weather. Beach and penmaemar within walking distance with a lovely padding pool for youngsters and a skate park plus a well stocked cafe. 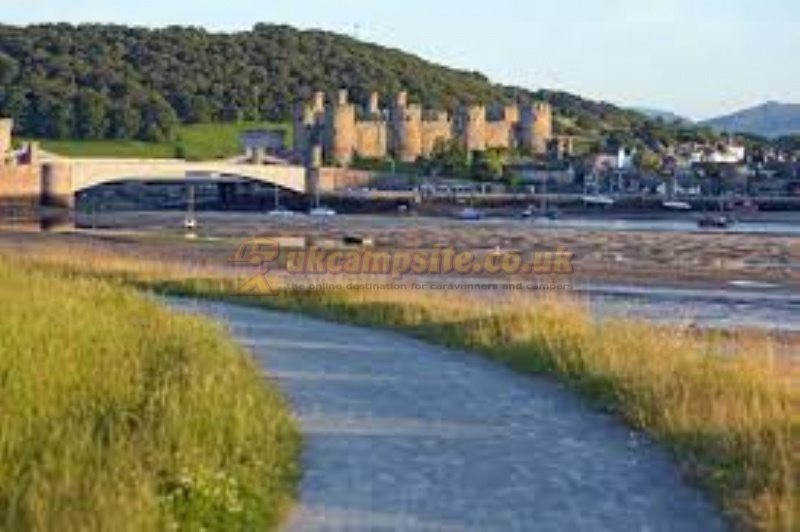 Conwy, Llandudno and Bangor only a short drive away. I would highly recommend this site and would return. Owners really helpful and friendly. 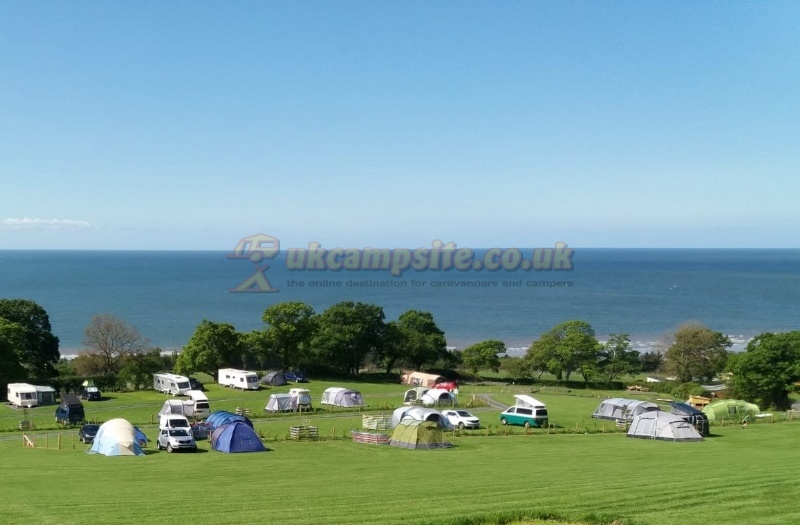 Site has beautiful views and village and beach was within walking distance. 1st stop beach front cafe.